FS-X6B is a 6 channel two-way receiver designed for multi-rotor aircraft. It uses the AFHDS 2A(Automatic Frequency Hopping Digital System) protocol and dual omnidirectional antenna with superior noise reduction techniques. It's compact, easy to install and boasts a rich easy to use interface. The FS-X6B support 6 channel PWM output, standard PPM output and i-BUS support for up to 18 channels alongside a reliable voltage sensor interface. Compitable Transmitter: All AFHDS 2A Transmitter, for example FS-i10 FS-i6,FS-i6S, FS-i6X, FS-i4, FS-i4X. Tiny Whoop Killer ? 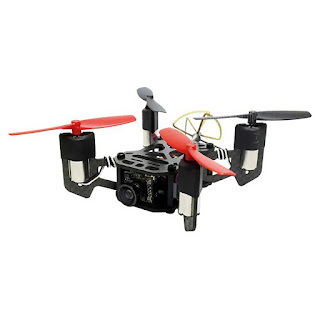 Flysky, DSMX, FRSKY. DJI PHANTOM Sale at Gearbest from $580.99 !!!!!! !